The Creation of a Uxbridge Masonic Centre. For some years it had been clear that the Uxbridge Centre in New Windsor Street, Uxbridge, was proving inadequate and a development fund was set up in the 1980s to finance the finding and creation of a new Centre. In the 1990s the condition of the Centre was beginning to cause concern. Not only was it proving unable to meet the requirements of the members, as there was no room for expansion, but also the condition of the premises was deteriorating. The roof was sagging and we had been compelled by the Fire Officer to install an emergency exit at the rear of the Lodge Room, an expense we could ill afford. It was obvious from this that further alterations would almost certainly be required in the future to meet changes in health and safety issues, so a move became urgent. It was under the chairmanship of the late Brian Dean that positive efforts were made to find new premises. His was the first driving force behind the task to find new premises. The first real attempt was a site in Park Road, Uxbridge that had come on the market. It was not a big site and after due consideration the project was abandoned. An organisation was interested in obtaining the site for a petrol station, but unfortunately planning was refused on appeal. 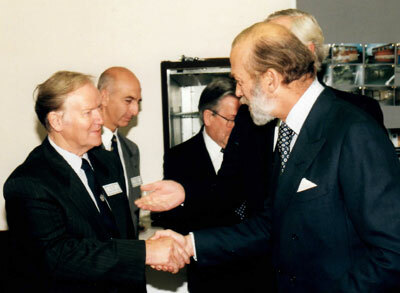 It was during this period that Brian’s health deteriorated and he subsequently passed to the Grand Lodge above. I succeeded Brian as Chairman and Ken Hodgson agreed to become Secretary. Many sites were inspected, the most important being Harefield in which Province was also interested. The late Alan May carried out the negotiations but the project fell through, due, mainly, I believe, to the refusal of the Ministry to agree to the site being separated into two projects – commercial and housing. Our Masonic interest was only in the commercial part of the site. The search continued and well over a dozen other sites were inspected but rejected as inadequate for a new Uxbridge Masonic Centre. During the summer of 1993 we became aware that our present site, which was then known as Stork House, was for sale. The site was inspected and it was felt that it had the potential required. It was big enough to hold two Lodge Rooms with reasonably sized catering facilities and parking for over 40 cars. It was pleasing to notice that although the main building on the site had been empty for sometime, there was no sign of vandalism and it was secluded. The owner was asking £750k, which was way beyond our financial capability as we had only some £200k in the development fund, plus the value of the premises in New Windsor Street. After much discussion, the Board of Directors decided to go ahead and negotiate but on the narrowest of votes. However once decided the whole Board threw their efforts into making the project a success. We appointed Michael Trend as our negotiator. The negotiations were tough and prolonged. Indeed on one occasion, due to the procrastinations of the owner, instructions were given to our Solicitors to withdraw. Eventually in July 1994 contracts were exchanged at the price of £500k. £200k payable on completion, £100k at the end of the first year and the balance of £200k at the end of two years – all without interest. We had sufficient capital to pay the initial £200k at completion but little else apart from the value of our New Windsor Street site. We were relying very heavily on the generosity of members to support the development fund and in this respect Chris Nixon and his helpers did a magnificent job in raising finance – notwithstanding the 1998 Festival. We instituted a founders' fund, which ranged from £30 stewardship to £500 to Founder Grand Patronage – which at the time of consecration had raised the magnificent sum of over £300k. We needed to raise every penny we could and were able to sell our New Windsor Street site to Uxbridge United Welfare Trust who generously paid us up front (before legal proceedings were completed) and allowed us to remain in the building for the rest of the Masonic year free of rent. For this generosity we must thank the late Dennis Newland, as without his cooperation we would have been in serious trouble. As an asite, it is worth mentioning that the vendor had to pay V.A.T. on the purchase price, but due to the way the contract was worded we were able to recover a substantial amount of the sum paid. This matter was later the subject of legal proceedings between the vendor and his solicitors, which for reasons I won’t go into brightened the lives of our Treasurer, Alec Brown, and me. Work then began in earnest. We appointed Barry Cook of Barry Cook Design as our architect and West London Estates to supervise the work, but unfortunately I have been unable to recall the name of the actual contract administrator from that firm. Whilst negotiations were proceeding, some preliminary work was carried out so that when contracts were exchanged in July 1994 some progress had already been made including survey plans drawn up by Ian and Derek Cook. After contracts were exchanged tenders were prepared and issued. After much discussion we appointed the late David Marks as contractor. This turned out to an excellent choice, as David not only did a wonderful job of conversion, but he subsequently accepted responsibility for maintenance of the buildings, a task that he carried out until his recent tragic death. All of us at Uxbridge have a lot to thank David for and he will long be remembered for his valued contribution to the success of the Centre. A working committee was formed consisting of our Contract Administrator, Ken Hodgson, David Marks and me. We held meetings regularly every Monday morning and sometimes during the week as problems and matters, which needed immediate attention, occurred. As neither Ken nor I had any experience of the other Masonic Orders (apart from Chapter) we asked Tony Sheppardson to join the working committee. We were creating a Masonic Centre from scratch and that was not an easy matter. In order to seek inspiration and advice we visited other Centres outside Middlesex, which led to the decision to keep all references to Masonry on the ground floor and to create a more social atmosphere in the bar and dining rooms as we had reached the opinion that the Centre could not be viable if it were to be used only for Masonic meetings. We accepted that we needed to attract social and commercial use in order to make the Centre commercially viable. Inevitably, there were many changes as the reconstruction progressed, which David took in his stride. However, the work went well and although hectic it was kept more or less to schedule. The only severe delay that I can recall was the installation of the lift. Otis failed to meet several agreed dates for the installation and it wasn't until severe remonstrations were made that the installation took place (I believe) in May 1995 just about a month before the intended move. As a result of Otis delays we were able to negotiate compensation of £2,500. I must give credit to Ken for his invaluable contribution to the reconstruction, as without his engineering background we almost certainly would have had to employ outside technical assistance – which we could ill afford. David Marks carried out the reconstruction work, and supplied and fitted at his own expense the brickwork in the bar. Ray Tillyer carried out a great deal of the internal work, including the flooring in the dining rooms and all coving. Ken Lock and Bill Baird designed, made and fitted the seating in both Lodge Rooms and also made our first circular dining rooms tables. Ron Imhoff made the moveable furniture in the Gordon Bourne Lodge Room (donated by Sincere Friendship) and also made the L.O.I lockers in the robing room. Michael Chagger designed, made and fitted at his own expense the backdrop to the Master’s Chair in the Gordon Bourne Temple. Keith Carey of Hillingdon Carpets laid the carpets and tiling including the black and white square in the two Lodge Rooms. Other equally vital works were carried out by other masons too numerous to mention in detail but whose contributions were equally valuable. Some of these works were voluntary and some were carried out under contract. Once the reconstruction works were nearing completion, thoughts turned to the appointment of staff. 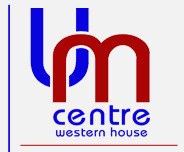 Fortunately, the existing Steward agreed to continue at Western House (the new name for the Centre) but declined to continue catering. In due course a new caterer was appointed. Finally, the building was ready (or as near as it could be in the short time available for the work) and the move was scheduled for July 1995. The move was well organized. It was decided to make this an in-house move, principally to save money. I stayed at New Windsor Street supervising the move out and Ken Hodgson was at Western House supervising the placing of the lorry loads of furniture, museum contents, and other items. The volunteers who were few in number did not lack enthusiasm. We were given the use of a lorry and the volunteers carried out all movements of items. Thanks are due to Bob Deckey and other members of Hillingdon Heath Lodge who formed the majority of the workforce. It had been decided to try and keep the format of the old Lodge Room by transferring as much of the fixtures and fittings, including the backdrop to the Master's Chair, into the smaller Lodge Room, named the Royal Union Lodge Room. The larger Lodge Room was named after R.W.Bro. Gordon Bourne, who was then our Pro Provincial Grand Master. The consecration of the building took place on 29th July 1995 by R.W.Bro. Gordon Bourne, the Pro Provincial Grand Master. It was one of the hottest days that year and we are all grateful to Gordon and the Consecrating Team in carrying out their duties in such difficult circumstances. Uxbridge Centre in 1995, talking to Brian Dyer. Since the Centre was created in 1995, many improvements have been made under the supervision of successive Chairmen. The front extension was completed in August 1999 and the creation of the Boardroom and extension to the kitchen at the rear of the building in August 2002, and air conditioning installed in 2005. The car park has been resurfaced, carpets laid in Lodge Rooms (due to the generosity of a member who wishes to remain anonymous), extra Lodge of Instruction lockers installed, new Lodge of Instruction rooms in the outer buildings and others. Many of these works could not have been carried out without the financial assistance provided through loans from the Middlesex Masonic Development Fund Ltd., set up – I believe – as a result of the financial problems we encountered in raising finance for our new Centre.